Neuquén, Argentina. 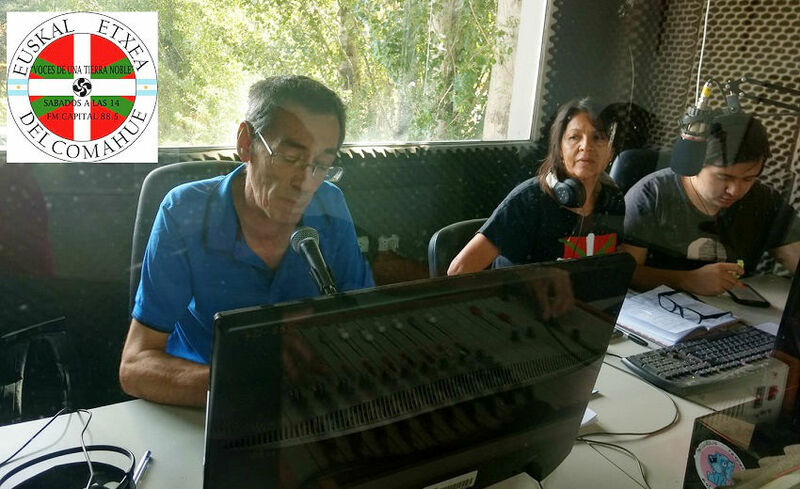 The radio program has returned to the airwaves on FM Capital in the capital city and province of Neuquen where it is broadcast on Saturdays produced and conducted by members of the Euskal Etxea in Comahue, with Sonia Beltran, Francisco Sevila, Manu Molina and Sebastián Inzunza comprising the staff for this second season. “Voices of a Noble Land,” focusses mainly on relevant aspects of the customs and culture of Euskal Herria along with diffusing activities carried out by the Euskal Etxea in Comahue. Along these lines, the first program included information on Basque food by Martin Sarlo, and an interview with Federico Ezquerra, a reference of the Mendiko Euzko Etxea in Bariloche, among other topics. “Voices of a Noble Land,” airs on Saturdays from 2-3pm on FM Capital, 88.5 on your radio dial. Anyone out of reach of the signal can listen online here: www.capital885.com.ar.